Examine best practices, important considerations, and guiding principles for developing with webOS and the Mojo framework. Illustrations note w. figs. and tabs. Mitch Allen is CTO of Software at Palm, Inc. where he has worked in various positions for 8 years starting with building and leading the software team at Handspring which conceived and developed the Treo smartphone. 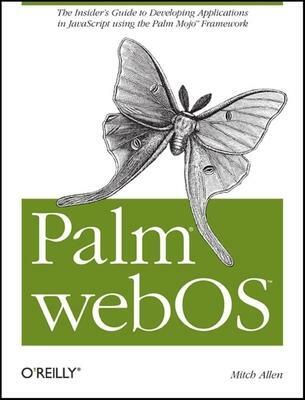 From webOS's conception to implementation, Mitch designed the early architecture of the webOS platform and led the development team through the initial design stage and as a result is intimately familiar with the capabilities of the platform and tools. He is currently leading the design of the developer SDK and toolsets, and working with initial developers in their use of the platform and SDK. Previously, Mitch worked at Apple, after 15 years developing image and text processing systems at Kodak and Agfa Compugraphic. He holds a degree in Math and Computer Science from the University of New Hampshire.